Property Details: 3 Bedroom, 2 Bathroom Property with approx. 1437 square feet. Holiday Harbour condo for sale in Perdido Key. 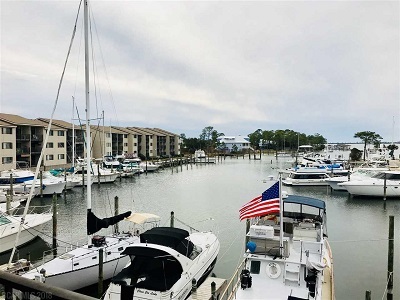 Gorgeous Holiday Harbor end unit condo with beautiful views overlooking Holiday Harbor Marina. Open floor plan with 3 bedrooms and 2 full baths. Fully furnished with washer and dryer. Close to N.A.S and the beautiful beaches of Perdido Key. Buyer to verify all measurements.